Cats might have 9 lives, but they often test each life as far as it can go. That’s why it’s so important to get cat insurance for your feline friend. Some companies only cover emergency care but won’t pay the cost of routine checkups, and some exclude costs such as hospital stays but pay for alternative therapies. Before you choose your cat insurance policy, think about your cat insurance needs. If you’re looking for the right cat insurance, we’re here to help. Take a look at the 5 best cat insurance companies below so that you can easily compare the advantages of each one and choose the one that suits your pet’s needs. Pet's Best makes it easy to get exactly the right level of coverage for your cat because you can adjust your deductible, reimbursement level, and annual limit. Pet's Best allows you to add on policies for wellness checkups, exam fees, prescription medicines, rehabilitation costs, and alternative treatments like chiropractor and acupuncture, or you can pick an accident-only plan to keep the costs down. Pet's Best will pay out no matter which vet you visit, and there's a 24/7 worldwide preapproval hotline to make it easy to check that treatment is covered. Pet's Best settles insurance claims fast, with most claims paid out within 5 days. The Pet's Best Accident and Illness plans pays your actual vet bill for unexpected incidents. With multiple levels of coverage, the plans can be customized to meet your budget and your furry friend. The EssentialWellness and BestWellness plans pay up to a minimum amount (with BestWellness paying slightly more) for routine care, such as teeth cleaning, flea prevention and microchipping. Pets Best covers all kind of things, depending on your plan, such as cancer treatments, hereditary conditions, dental treatments, travel coverage, prosthetics and exam fees. What's not covered: Pre exisiting conditions, elective or preventative care such as nail trimming, declawing. ASPCA's cat insurance will cover some of the most advanced medical treatments for animals, including things like stem cell therapy and acupuncture for cancer. You can choose your level of coverage, from an all-inclusive, comprehensive policy to a low-cost, accident-only cat insurance plan, and decide whether or not to include coverage for preventive care and dental care. What's great is that once you meet your deductible amount, you won't have to pay it for any other claims in the same year. ASPCA has plans that cover surgery, diagnostics, cancer, wellness and behavioral care, and alternative therapies. Embrace stands out for offering coverage for a wide range of congenital and hereditary disorders. It’s also got the best ratings for its customer service of all pet insurance companies. Embrace’s cat insurance policies cover a wide range of needs, including rehabilitation, prosthetics, and alternative therapies. Embrace offers discounts if your cat is neutered or spayed, if you pay for a year upfront, or if you are a veteran. You can visit any vet and still access cat insurance with Embrace, and it has plans that cover a range of treatments, from rehabilitation to prescription medication, behavioral therapy to dental treatment. Hartville offers flexible cat insurance policies that can range from accident-only to include advanced diagnostics and treatment and also preventive care. You can choose your annual coverage limit, deductible, and reimbursement level. Hartville has plans that cover advanced diagnostics, treatments, preventative care, exam fees, hereditary diseases, and dental treatments. Petplan offers just one, customizable cat insurance plan that lets you choose the right level of coverage, deductible, and annual limit for your pet. Petplan makes it easy to file a claim through the Petplan app, without needing any paper forms or phone calls. Petplan allows you to visit any vet in the country, and your coverage begins immediately on the day after you’ve been approved for insurance—there’s no long gap between approval and coverage. Petplan can cover accidents and illness, cancer, exams, non-routine dental care, rehabilitation, prescription medication and alternative therapies. Although you want to keep your cat insurance costs down, the policy with the lowest premiums might not be the best option or even the cheapest. If you're paying low premiums, you might have to pay much higher deductibles or face a lower reimbursement level. It's also important to check the annual limit of each policy, which is the maximum that the insurer will pay out in any given year. These are all important issues to bear in mind when you look for the best insurance for your cat. It's impossible to state which is the best cat insurance for every cat since each pet is different, but having an insurance plan will surely save you money and can save your pet's life. You'll need to consider about how often your cat goes outside, if his or her nature is more mischievous or calm, his or her age and breed, and if you have any hazards nearby, like a neighboring cat who likes to fight your pet. If your cat tends to stay indoors all the time, it might not be worth paying for full comprehensive coverage. On the other hand, if you have an outdoor cat that keeps picking fights, you'll want all the cat insurance you can get--it will surely pay off. 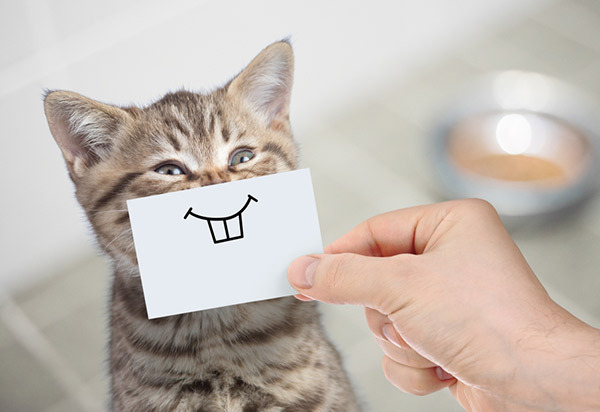 Cat insurance is a no brainer, but which cat insurance policy you buy definitely is a choice. Whether you choose a full-featured, comprehensive feline insurance policy that covers every possible incident, or an accident-only cat insurance plan that’s just for emergencies, pick the right one with the help of our cat insurance company reviews.